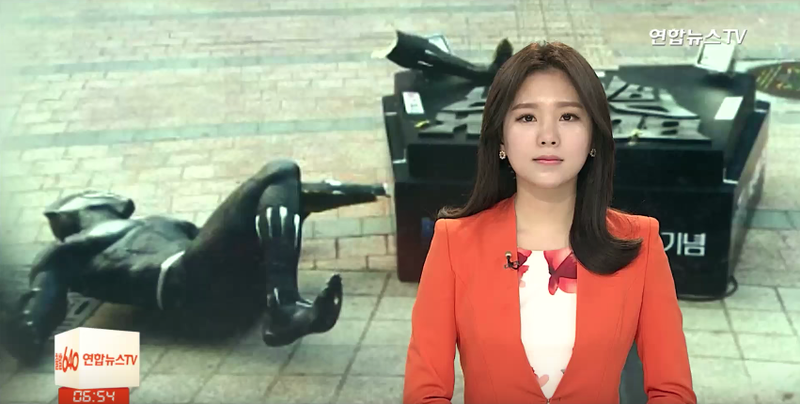 To commemorate the filming of Black Panther in South Korea’s Busan, Disney had sent a pair of statues to be displayed in the country. One of the statues has been vandalized. The incident has made Korean news. One of the statues went to Gwangalli, while the one for Gwangbok-ro ended up destroyed. As Yonhap News reports via tipster Sang, the busted statue was returned to Disney. The Busan Film Commission is in talks with the company regarding possible legal action over the statue’s destruction. Considering how many cameras are in South Korea, it’s possible that authorities can locate the offender. An individual allegedly destroyed the statue sometime between the night of March 16 and the following morning. It’s believed the individual was inebriated. A Korean Film Council official is quoted by The Korea Herald as saying, “Claws of the statue were found damaged a few days after it was set up, and now to see it completely torn apart in a month is a shame.” Bummer.